Gujarati dinner is simple and generally consists of the humble khichdi. The khichdi is a one dish meal made from dal and rice. The most famous khichdi recipes are made using a combination of moong dal and rice. You can even perk up the flavor by adding spices and vegetables. Khichdi is generally accompanied with curd, papad, pickle and kadhi. Many people even love eating garlic chutney and freshly cut onions with it. To increase the nutritional value you can substitute rice with healthy ingredients like dalia and millets like bajra. Another popular recipe is Dal Dhokli, which is similar to pasta. Spiced whole wheat flour dhoklis are simmered in Gujarati dal and served with a drizzle of ghee. 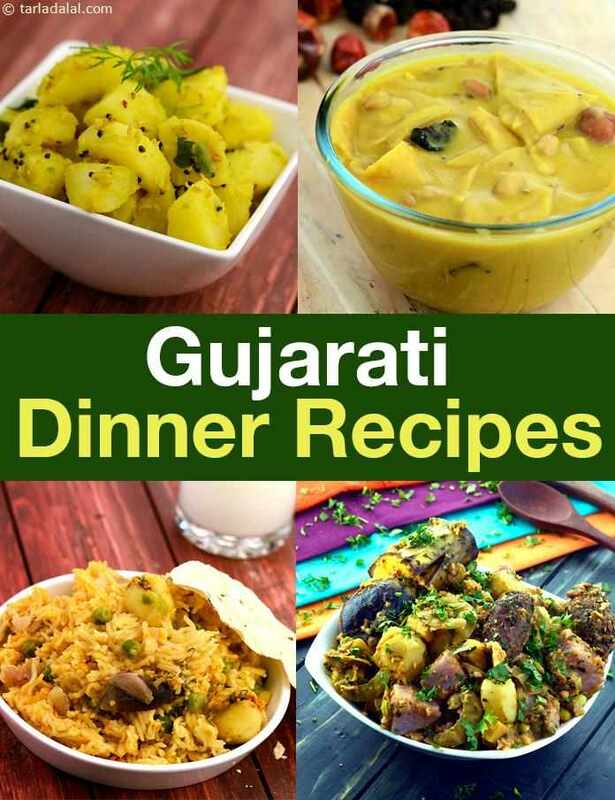 Here is a list of some Gujarati recipes of khichdi that you must try! Apart from khichdi being widely consumed for dinner, there are many more dishes made using rice in a Gujarati household. An effortless vegetable pulao in which you can either cook the ingredients separately or toss them together in the pressure cooker is a quick fix dinner. This pulao tastes amazing with the Gujarati Kadhi.